Product #22083 | SKU S2PGGY-392 | 0.0 (no ratings yet) Thanks for your rating! The orange iridium Smokin' Buds 2 Earbud Headphones from Skullcandy feature an in-line mic and remote for making calls and controlling most smartphones. 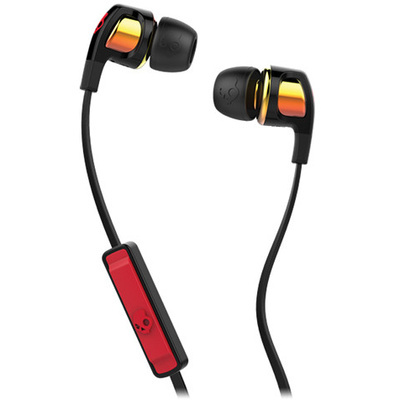 They feature an off-axis angled design and oval-shaped port for fit, comfort and acoustic performance.